For most people birds would rank pretty low on a list of most terrifying animals – and rightfully so. The vast majority of birds are too small and lacking in natural weapons to inflict all but the most insignificant of injuries. However, birds are also the most diverse group in the animal kingdom meaning they come in all shapes and sizes, some of which are big and very sharp. You will see in this list that size does matter with some of the most dangerous birds being bigger than the average man. But size and strength isn’t the only weapon in the killer bird’s armoury. Dagger-sharp beaks, crushingly powerful claws and even poison are all on the list not to mention strength in numbers. Anyone who has been dive-bombed by angry crows or seagulls will know about this, as will anyone familiar with the classic movie “The Birds“. Fiction aside, birds can be dangerous, even deadly – let’s not forget they are the direct descendents of the dinosaurs. Below we have put together a list highlighting some of the most dangerous birds in the world. Found throughout the jungles of New Guinea, the pitohuis are the only known birds to carry a toxin. 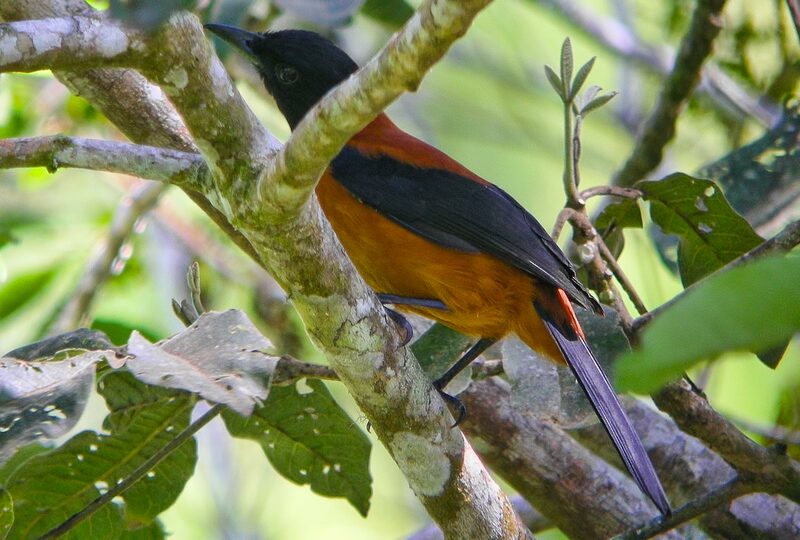 There are three different species of pitohui, the most poisonous of which is the hooded pitohui (Pitohui dichrous). The skin and feathers of this rather unassuming looking, brightly colored bird contain the powerful neurotoxic agent batrachotoxin – the same poison found on the skin of poison dart frogs. This is one of the most deadly toxins found anywhere in nature. It is believed the pitohui acquires the poison in the same way as the South American frog does, i.e. it doesn’t produce it but instead gets it from its diet. The most likely source is the melyrid beetle on which the frogs and birds are known to dine. While the bird may contain only small traces of batrachotoxin just a fraction of a gram can lead to paralysis, cardiac arrest and death. Although no recorded deaths have been attributed to the pitohui this natural defence has lead to it being known locally as the “rubbish bird” as you can’t eat it. I’m struggling to decide if the common loon (or great northern diver) belongs on this list. Probably not as I can’t find anything more than a couple of references to attacks on people which I couldn’t really back up. The loon is a large water bird that lives on the lakes of North America and Europe. It is probably best known as the bird that appears on and is the nickname of the Canadian currency, the loonie. They are also famous for their call, a kind of echoey, yodeling wail often heard in the background of movies set in this part of the world as it adds instant atmosphere. 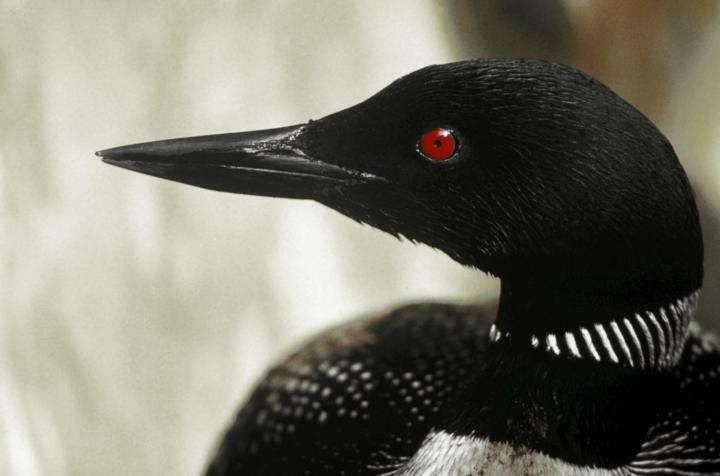 These common loon can measure up to 3ft (1m) in length and weigh 12lbs (5kg). Feeding primarily on fish they are equipped with a heavy dagger-like bill which is what gets tem on to this list. So sharp and tough is this beak that North American Indians used them as arrowheads. The loons however prefer to use them to fight and defend themselves. Although fights between male loons are not common there is apparently a 30% fatality rate when they do. Great northern loons can be quite aggressive when defending themselves and their family. The particular case that I heard about involving an attack on a human occurred when ornithologists where placing ID rings on the birds legs. In what was probably a freak accident the loon stabbed the man with its beak which went through the ribcage and penetrated his heart killing him outright. I did also see a reference to fatalities from native American hunters being attacked in kayaks, but this was pretty vague and I was unable to confirm it. As you go down this list you will see that size counts when it comes to the world’s most dangerous birds. The top 10 largest birds in terms of weight are all flightless, but when it comes to flying birds they don’t come much bigger than the mute swan. One specimen from Poland weighed in at a massive 51lbs (23kg), although around 30+lbs (15kg) is more common for a large male. 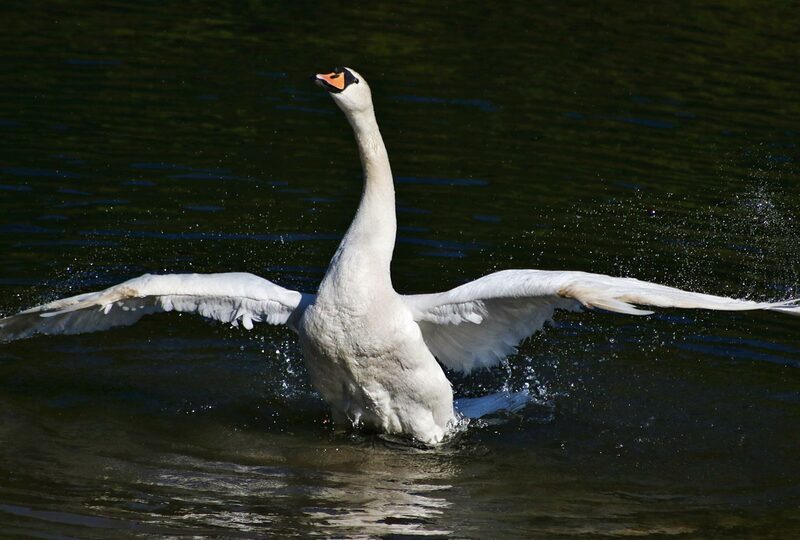 To get this bulk off the ground swans need to have tremendously powerful wings. Along with this they also have strong, very muscular necks and a painful bite. When you combine this with the swan’s tendency to very aggressively defend their nesting sites, in pairs, you can imagine why swans have the reputation as being particularly dangerous. There is little doubt can cause injuries to humans, but what about the often cited fact that they can break a man’s arm with their wings? Well, it is true that the swan’s primary weapon are its wings, and it has a bony spur on the joint for just such occasions. However, after wading through several articles about this it seems unlikely that a swan would be able to break an adult human’s arm with its wing. Given that, like all flying birds, swans bones are designed for being light rather than strong, it is more likely the swan would break its own wing in such a vicious attack. That said there have been a number of cases of children and some elderly people having bones broken by swans. Perhaps the best known case of swans attacking a human is that of Anthony Hensley who drowned after being attacked by swans whilst kayaking near Chicago. It is difficult to say how much of this tragic death was caused directly by the swans, but it does serve to suggest that in the water swans have the upper hand. The South American harpy eagle is probably the most dangerous bird never to have killed a human (at least as far as I could find out). This species is one of the largest of all the eagles, just behind the Steller’s sea eagle for sheer size. But where the harpy eagle may lack a couple of inches it more than makes up for in power. 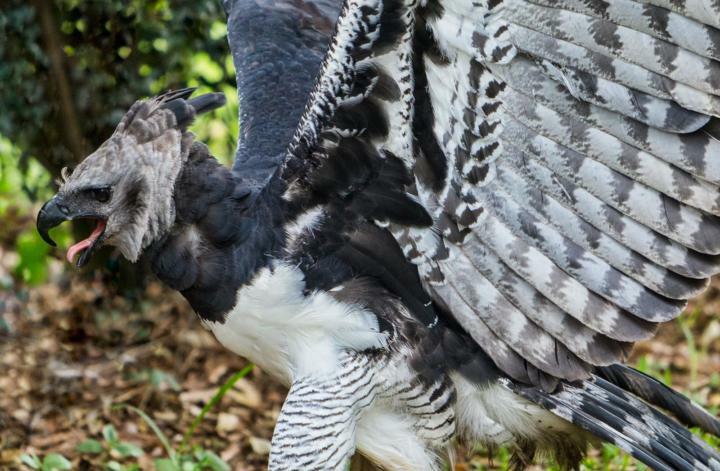 A fully grown harpy eagle may weigh up to 20lbs (9kg) and have a wingspan of over 6.5ft (2m). Travelling at speeds of up to 50mph (70kmh) this bird is going to cause some serious damage when it slams into its prey. However, it is the harpy eagle’s talons that are its main killing implement. 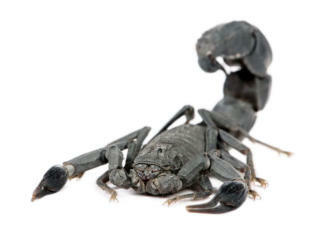 With claws like meat hooks measuring up to 5 inches (13cm) long and a grip strong enough to crush bones these can effectively instantly kill the unfortunate prey. There are stories of these eagles carrying off toddlers. Although this would be completely possible it is most likely the stuff of myth. What is known is that when a harpy eagle attacked a BBC cameraman to defend its nest he was left almost unconscious and thankful he was wearing a kevlar stab-proof vest. It seems that over the past century seagulls have gone from being the evocative soundtrack of the seaside to public enemy number one. Shite-hawks, sky rats call them what you like these avain terrors have made eating anything outside in a British seaside town potentially dangerous. 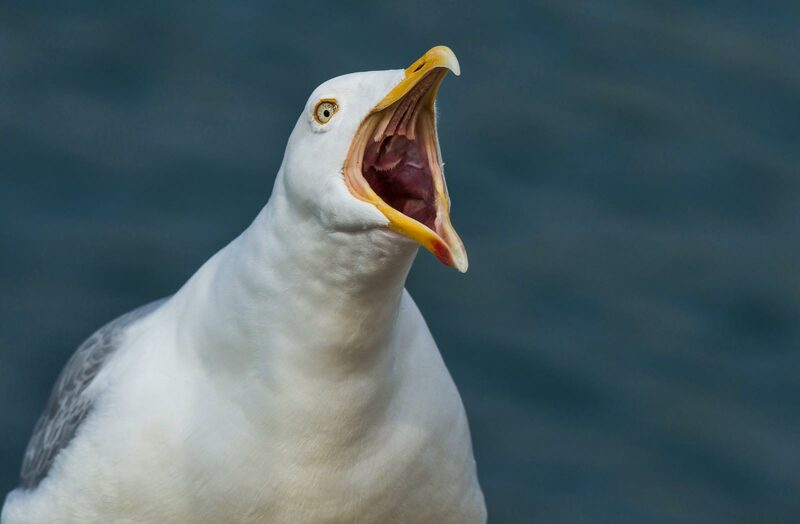 Anyone daring to eat a bag of chips in the open is a likely candidate for dive bombing with any number of seagulls homing in like heat-seeking missiles. The main culprit is the Herring Gull (Larus argentatus) which can weigh up to 3.5 lbs (1.5kg) and have a wingspan of around 5ft (1.5m). Armed with sharp beaks and travelling at speeds of up to 40 mph (60 km/h) these birds are well equipped for robbing humans of their al fresco lunches and ice creams. Injuries from such swoop and grabs often include cuts to the face, and even inside the mouth. But it is when defending their nests that these gulls can be particularly vicious, and as they like to make their nests in built up areas this is quite a common occurrence. The standard modus operandi of the attacking seagull is to make a couple of low passes which might involve emptying its bowels or stomach on the victim. If this doesn’t send them running for cover, the gull will gain altitude and dive-bomb its target from behind. Gulls tend to rake the victim’s head with their sharp claws which is often sufficient to draw blood. More prolonged and deadly attacks have occurred against family pets with examples such as a dog and tortoise being pecked to death. Lots of places have magpies; there are Eurasian magpies, American magpies and there are Australian magpies. Of course, coming from Australia means these magpies can potentially cause you serious harm! To the outside world it probably seems a little odd that come springtime Australia’s suburbs are filled with dread, not because of spiders or snakes, but magpies. Across Australia between August and September these monochrome menaces are known to dive bomb passing pedestrians, runners and cyclist with unbridled fury. What is weird about these birds is they can be very selective. Some only attack pedestrians, others just cyclists and some will even only attack certain people. Amusing as this sounds these attacks regularly draw blood as the birds claw, stab and bite victims with their sharp beaks. 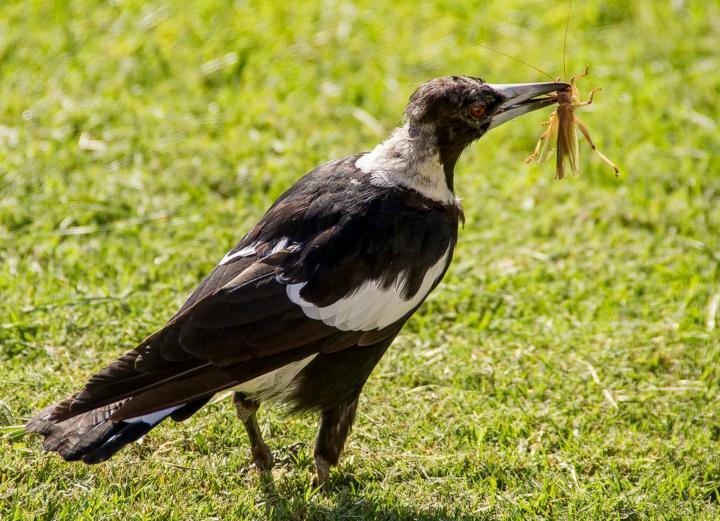 In fact between 1986 and 1994 nearly 60 hospital admissions were recorded as a direct result of Australian magpie attacks. The most serious attacks have left a number of people potentially blinded as the birds sometimes go for the eyes. And there have been deaths too; in 1946 a 13 year old boy died from tetanus following a bite and a Queensland man was reputedly killed after a beak to the neck severed his spinal cord. The emu is the Australian answer to the ostrich. Although a fair bit smaller than its African cousin emus are still large, powerful birds standing at up to 6ft+ (1.9m) tall and weighing 150lbs (70kg). Much of this weight is concentrated in their thigh muscles and their legs are among the strongest of any animal – powerful enough to tear down metal fencing or deliver a kick that would put Bruce Lee to shame. In addition the emu is equipped with sharp claws measuring several inches long which are capable of inflicting serious injury, if not death. In fact so dangerous was the emu considered that the Australian government declared war on the birds. Yes, you read that right. In 1932 the “Great Emu War” began with the machine guns of the Seventh Heavy Battery of the Royal Australian Artillery being deployed to wipe out the emus of Western Australia. In the end the emus won! 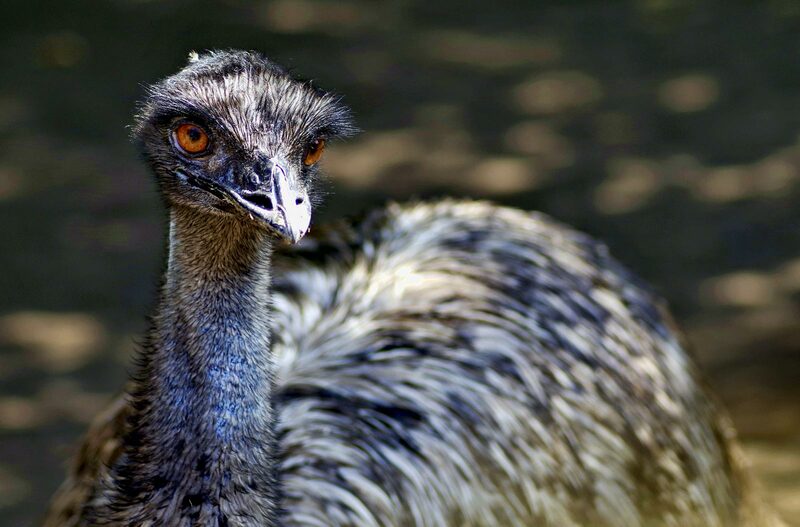 Despite being notoriously dim the emus appeared to be experts in evading the army. In general emus do not pose a danger to people; they are usually considered friendly and inquisitive, even if this does occasionally involve a peck. But as with any wild animal of this size with considerable natural weaponry they have the potential to be dangerous and people are regularly injured by emus. The African crowned eagle is Africa’s equivalent of the harpy eagle. Although significantly smaller, weighing up to around 11lbs (5kg), they do possess disproportionately large and strong talons. 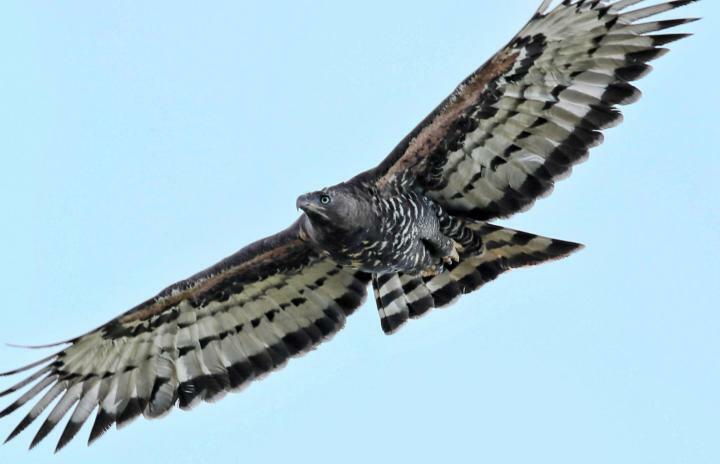 As mentioned above, in terms of pure killing machine power the harpy eagle wins out, however it is the crowned eagle that takes the larger prey and has a rap(tor) sheet involving humans. The so-called leopard of the sky earns its name from fact it will tackle prey significantly bigger than itself. Unlike the harpy eagle which carries its prey whole back to the nest the crowned eagle will tear apart its prey on the ground before carrying it off in pieces. These eagles feed primarily on monkeys but will also take small antelope with the record kill weighing in at around 65 lbs (30kg). 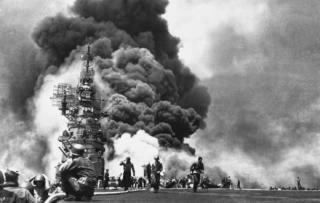 The last weight mentioned is similar to that of a 9 year old human child which is more than just a macabre coincidence. In one reported case a 7 year old boy was attacked by a crowned eagle; the bird ambushed him tearing into his throat and chest with its talons. If it hadn’t been for the intervention of a passerby who bludgeoned the eagle to death the boy would almost definitely have been killed. In another case the skull of a child was found in a crowned eagle nest. One further reputed instance involved the disappearance of a four year old girl – all that was recovered was a severed arm found in a tree that had previously been used as a food cache by crowned eagles. There also seems to be some prehistoric precedence for these eagles preying on human children. The “Tuang chld” was an ancient skull belonging to an Australopithecus africanus child – a possible ancestor of human beings. The marks on the skull where similar to those found on monkey skulls killed by crowned eagles suggesting that this child, weighing an estimated 20lbs (10kg) had been killed by an eagle. I’m going to stray a little from the conventional pecking order(!) of dangerous birds by placing the Southern cassowary at number two. I’m sorry to go against the conventional wisdom, but these birds just don’t have the kill rate. 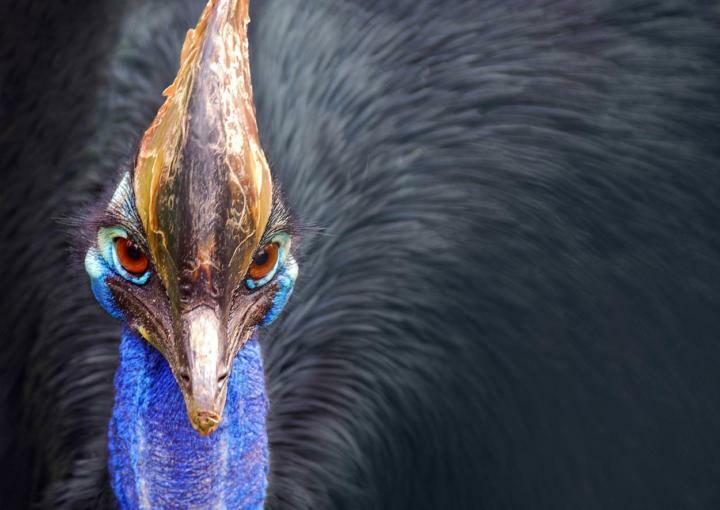 The third Australian on our list the cassowary is the second largest bird in the world weighing up to 190lbs (85kg) and standing over 5ft (1.5m) tall. 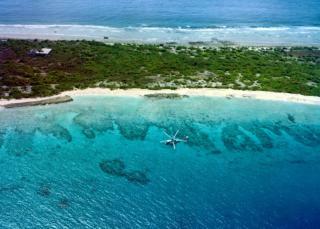 Like our other flightless birds on the list they rely on powerful legs to get them around. And while these birds may have a look of giant turkey about them, those wild, staring eyes should be enough to put most people off messing with this mega-fowl. So, armed with this killer claw, capable of running at speed over 30mph (40km/h) and a track record of aggressively defending itself this is one chicken not to mess with. Which is exactly what two brothers did in 1926. The teenagers attacked the bird with sticks, one was kicked and the other fell to the ground. Whilst on the ground the boy received a kick to the neck which severed his jugular vein and killing him. It seems fairly logical that the biggest, fastest and strongest of all the birds is in fact the most dangerous. Standing at nearly 9 feet (2.75m) tall and weighing around 350lbs (160kg) this is the real life Big Bird. Ostriches are capable of running at speeds of up to 45 mph (70+kph) and to do this they are equipped with massively strong legs. It is these legs that are the ostrich’s primary weapon and they have tremendous kicking power. Not only this but the foot is something of an offensive weapon. There are only two toes; a small outer toe and an inner mega-toe tipped with a massive claw. Whilst this might not be quite as offensive a weapon as that of the cassowary it is more than sufficient to kill. Given the choice an ostrich will avoid conflict and generally run away. However, sometimes they can be highly aggressive when threatened, particularly if cornered, and they may also attack if they feel the need to defend their offspring or territories. 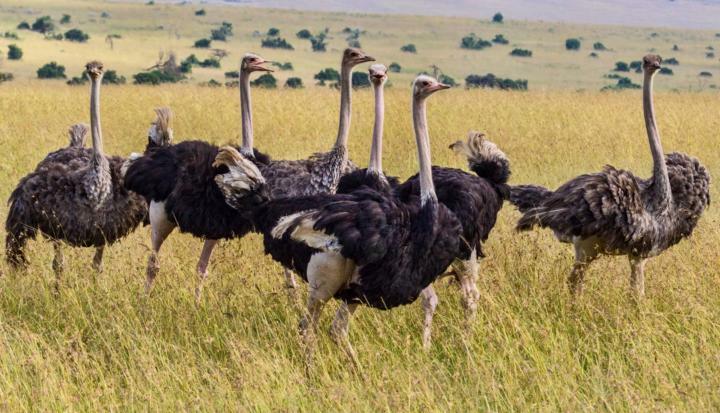 Forget the old myth about ostriches burying their heads in the sand – when they have to, these mammoth birds will have a good go at kicking the crap out of potential predators. There are reliably sourced stories of ostriches killing lions, although this wouldn’t be the usual outcome of any such meeting. In terms of humans, ostriches are the only bird that kills people on a regular basis. Currently around 2 or 3 people are seriously injured or killed each year by ostriches putting them somewhere between grizzly bears and wolves statistically. Capable of disemboweling a person with a single blow, this is what apparently almost happened to country legend Johnny Cash. He kept ostriches and one day got into a fight with one. The story goes that it was only his oversized belt buckle that prevented him being cut open.